I'm a resident of the northern suburbs of Adelaide, keen to share interesting ideas for weekend activities, especially but not exclusively, north of Gepps Cross. Can you spot an echidna? Hale Conservation Park, near Williamstown, is a peaceful place, with a small dry waterfall, old mica diggings and some fabulous views. It can be tricky to find, the trailhead is on Warren Road, also known as the Williamstown to Birdwood Road. 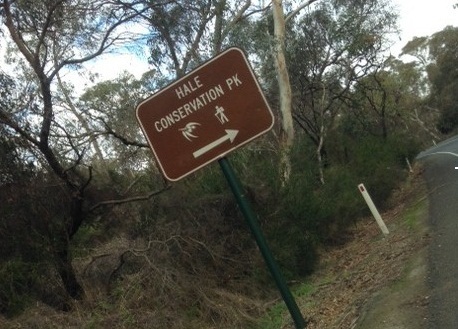 Around 2 km after leaving Williamstown, you will see a brown sign announcing Hale Conservation Park. Keep a sharp eye out to your right, the narrow track leading to the trailhead and a small car park is easy to miss. Two minutes after this sign, on the right! The Hale Bush Walk is a relatively easy 4 kilometre, 2 hour loop track. Every 200 metres a yellow pole announces how far you have come or how far you have got to go, depending on which direction you decide to walk around the loop. If you choose to walk in a clockwise direction, keep walking to the H2 marker. This is a fairly steep section. Once you have reached H2 bear right along the ridge. A highlight is the Lookout, which is signposted, from the main Hale Bush Walk, and is a good place to stop to catch your breath and contemplate your surroundings. This is a great spot to attempt a panoramic picture with the South Para Reservoir and Mt Lofty both in camera range. Also signposted during the walk are the mica diggings. Mica is evident throughout the trail, as the ground glitters when the sun shines on it. The old mica diggings are possibly originally an unsuccessful exploration for gold. Mica is used in the electrical industry because of it's unusual ability to act as a thermal conductor and electrical insulator at the same time. Hale Conservation Park is one of my favourite places to spend a Sunday afternoon. Keep an eye out for the many echidnas that call the Park home too! Why? 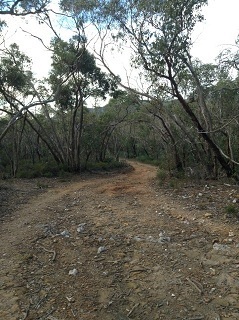 Take a meditative two hour walk through a beautiful bush land setting, an hour's drive from Adelaide. I did a university project here years ago, watching bird feeding behaviour on the Astroloma bushes. The biggest flock of birds I saw there had more than 50 Red Wattlebirds. I never saw an echidna though.